Miles P. Cahill | Spiegel & Cahill, P.C. Miles P. Cahill is a Managing Partner at Spiegel & Cahill, P.C. Mr. Cahill graduated from the University of Illinois with a degree in History and Political Science, and attended law school at DePaul University College of Law. Mr. Cahill is licensed to practice law in the State of Illinois, as well as the State of Indiana. Mr. Cahill’s practice has been concentrated in all aspects of personal injury litigation and workers’ compensation. This practice has included all levels of litigation from trial through the Illinois Supreme Court. Mr. Cahill is currently a member of the Illinois State Bar Association, Indiana State Bar Association, The Trial Bar and the Workers’ Compensation Lawyers Association. 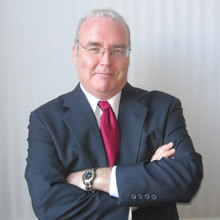 Mr. Cahill was named to the prestigious Super Lawyers in 2007, 2008, 2009, and 2010. In addition, in 2014, Mr. Cahill was selected as a Top 10 Workers’ Compensation Defense attorney by Leading Lawyers Magazine. Mr. Cahill is an author of the chapters on “Subrogation and Third-Party Claims” and “Appeals”, Illinois Workers’ Compensation Guidebook, Larson Series, 2009 Edition.